With a comfort rating of four, the Queen Serta Perfect Sleeper Hotel Concierge Suite II Plush Double-Sided Mattress is perfectly designed for side, back, and stomach sleepers alike. This moderate mattress offers a unique blend of sleeping technology, including an 800 Continuous Coil Support System, a Double-Sided Design, a Total Edge Foam Encasement System, Serta PillowSoft Aire, and Cool Twist Gel Foam. The Queen Serta Perfect Sleeper Hotel Concierge Suite II Plush Double-Sided Mattress is value-oriented and perfect for families looking to save money on quality furniture. Cool Twist Gel Foam assists in temperature regulation while you sleep, keeping your body cool to prevent tossing and turning. The 800 Continuous Coil Support System has a posturized center third, which enhances your lower back where you need it most. 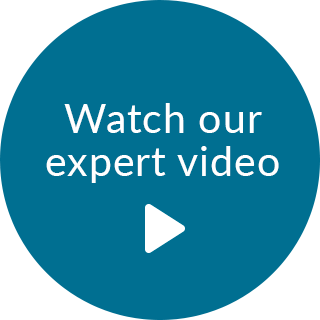 The Double-Sided Design comes with many benefits - namely that you can flip the mattress to extend durability and consistency whenever you like. The Total Edge Foam Encasement System makes it possible to use your entire mattress without fear of roll-off. Finally, Serta PillowSoft Aire is used on the top portion of the mattress, enabling the plush surface to conform to the curves of your body. 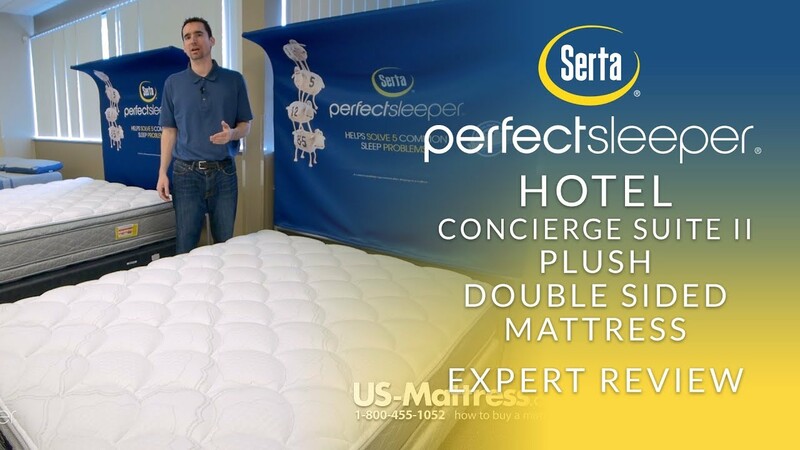 With these materials combined, the Queen Serta Perfect Sleeper Hotel Concierge Suite II Plush Double-Sided Mattress is truly exceptional for the price. In conclusion, the Queen Serta Perfect Sleeper Hotel Concierge Suite II Plush Double-Sided Mattress is a smart choice for most sleepers. See how this mattress performed. 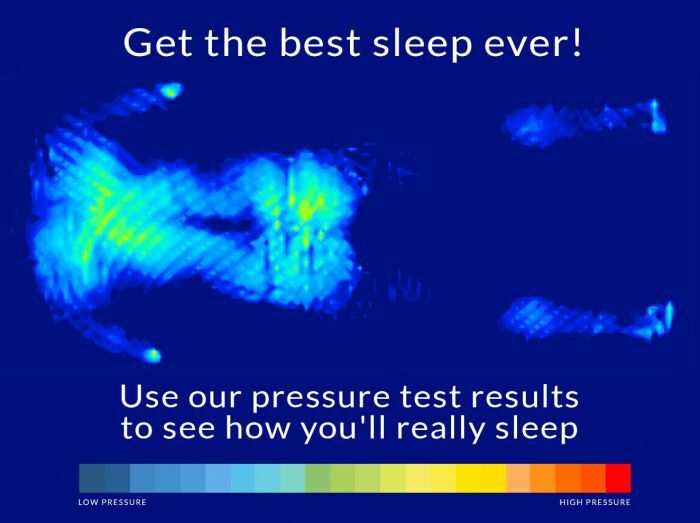 However, I wouldn’t recommend it for those who prefer a very soft or very firm sleeping experience. For an impressive mattress that promises to exceed expectations, add the Queen Serta Perfect Sleeper Hotel Concierge Suite II Plush Double-Sided Mattress to your furniture collection today. King 12" 76" 80" 75 lbs. Cal King 12" 72" 84" 75 lbs. Queen 12" 60" 80" 60 lbs. Full 12" 53" 75" 45 lbs. Twin 12" 38" 75" 40 lbs. Twin XL 12" 38" 80" 45 lbs. SCHEDULING DELIVERY: You'll be contacted by our carrier to schedule your delivery. Someone must be home to accept delivery. I choose this mattress because I wanted something firm but not too firm and was flipable by a known company. I'll see how it sleeps when it arrives. Slept on this mattress at Diamond Resorts and it is so comfortable. Plus, I love the double sided feature because most pillowtops cannot be rotated to the other side. we slept at a hotel that has this mattress, great night sleep. I prefer flippable mattresses, and have consistently had excellent success and satisfaction with Serta, particularly Serta Perfect Sleepers. A 100% improvement from my old mattress. I am once again able to get a comfortable nights sleep and have no back ache from my old pillow top mattress. Best purchase I have made in years!! And it was delivered on time, in perfect condition. I will definitely use US Mattress again. Thanks so much. Almost one week in to the bed and so far so good! Very comfortable. I decided on this bed after sleeping well in hotel rooms. Checked out the type of bed in the hotel and ordered same one. I did opt for the split box spring, no extra charge and I do feel it makes a difference support wise. Very happy with the bed! Also service was great, company worked with me when I needed to change delivery date. Purchase, product and delivery as advertised, no problems! Very comfortable. No more back aches. I love this mattress. It is very firm. Between 1-10, would give it a 9. Top is soft plush. Best mattress in the world. Since receiving this mattress I have been able to sleep through the night. My husband loves it. Have had the mattress for about a week, and it is probably the best sleep we have had in the last two years. No lower back pain, sleeping all night, couldn't be more pleased, and will definitely reccomend it to others.